We advice caution when travelling to Comoros. Comoros is a country in Africa (Eastern Africa) with around 1 million citizens and a land mass of 2,170 km². We detected travel advisories from 4 sources for this country. 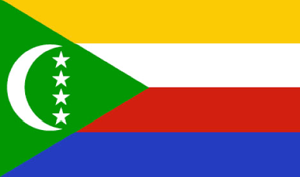 Reconsider travel to The Union of the Comoros due to civil unrest. Comoros is experiencing civil and political unrest, including armed conflict, roadblocks, and protests following a contested election. Comorian officials have responded to demonstrations with force. Travel services into, out of, and within the Comoros may be disrupted without notice. U.S. government personnel under Chief of Mission authority have been temporarily relocated off Comoros. The U.S. government has limited ability to provide emergency services to U.S. citizens in the Union of the Comoros. U.S. citizens in the Comoros must contact the U.S. Embassy in Antananarivo for consular assistance. Read the Safety and Security section on the Country Information page.